The Rockville brand stands for Quality, Innovation and Value. All Rockville products go through the most rigorous quality control standards in the industry. Products go through months of extensive testing before they reach your hands. All user functions are tested and all internal components are tested for quality. Rockville makes products that are virtually un-breakable! Rockville is one of the only brands in its class to test every concept model for weeks or months before starting production. Once production begins, Rockville sends product engineers to their factory to quality control every line of production. During production every product is tested and on top of that Rockville goes the extra mile and has their high level product engineers do an additional quality control. They test a certain percentage of all products from the production line a second time to ensure that the quality meets their vigorous standards, and to make sure that there is never a batch of products with even a slight problem. 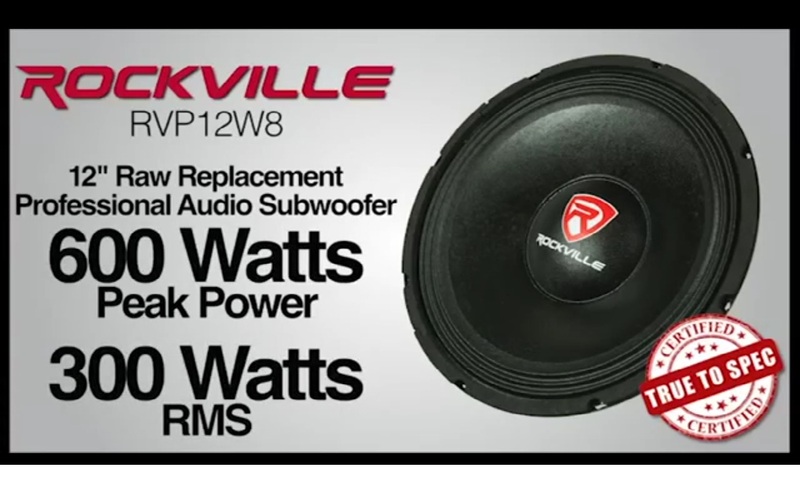 All Rockville monitors are backed with a full one year warranty, though it is unlikely that you will need to use it.